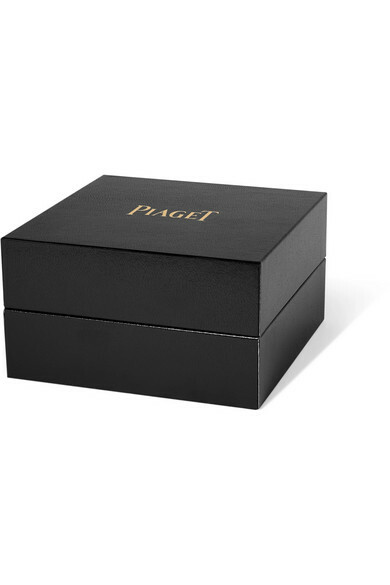 "The Piaget woman puts the universe in motion, unlocking all the positive energy of the world around her," explains the label. 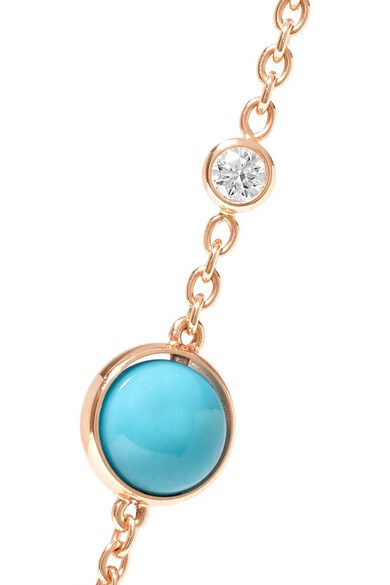 Lovingly crafted in France, this dainty 18-karat rose gold bracelet is tipped with a 0.05-carat diamond and 0.90-carat turquoise stone. Wear yours stacked with other styles from the collection. Shown here with: Joseph blazer, Piaget Ring.